Virgin to the Life by John Collins (Author) (Mar 3, 2013) Kindle Edition Auto-delivered wirelessly, Paperback ~ I’ve built up walls for protection with only one entrance –an impractical, artificial, invisible force field per say. 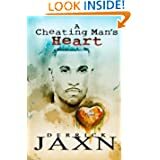 I’m wondering why we as black gay men feel lonely seventy percent of the time, why we go through our “coming out” alone, worried about how we’ll be perceived and received. 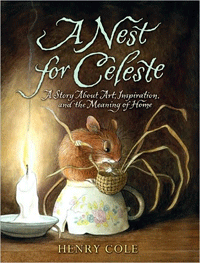 A Nest for Celeste - Kindle Edition - Kindle Book (Feb. 23, 2010) by Henry Cole (Author) ~ A beautifully illustrated novel about a mouse, her friendship with Audubon's apprentice, and her search for home. A Writer's Life by Gay Talese (Kindle Author) (Kindle Edition - April 25, 2006) ~ Others: Hardcover, Paperback, Audio CD ~ From Publishers Weekly: According to Talese, "Writing is often like driving a truck at night without headlights, losing your way along the road, and spending a decade in a ditch." Reading his first substantially new publication since 1992's Unto the Sons is like being in the passenger seat of that truck while it's in motion. Talese begins with a World Cup women's match between China and the United States; the game gives him a story idea, which he then abandons for roughly 300 pages for elegant digressions on, among other things, the civil rights demonstrations in Selma, the Lorena Bobbitt controversy and a string of flopped restaurants in an Upper East Side building. Somehow, he also works in a memoir of his early life, including perfectly etched memories of the New York Times newsroom (without directly reflecting on his prominence as one of the first New Journalists). This sort of thing can drag for long stretches unless you're willing to simply follow along as Talese pursues his impulses wherever they lead him. No matter how frustrating it is as memoir, though, this is a near-perfect expression of Talese's inquisitive personality, an inquisitiveness that has led to some of the outstanding journalism of the past few decades.